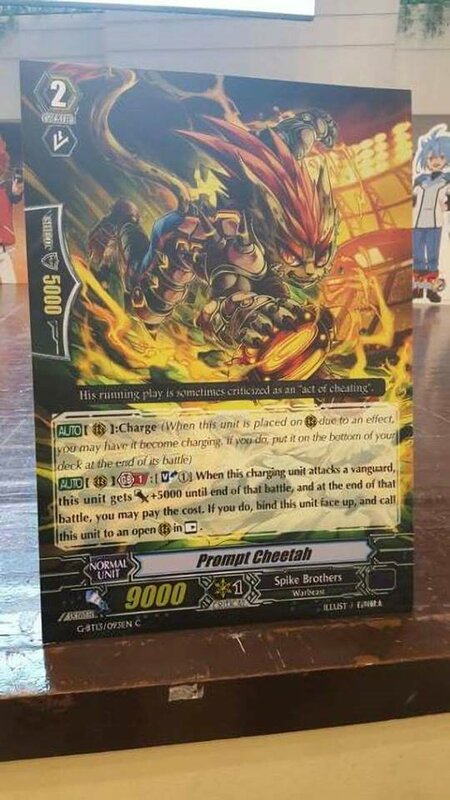 From an event, a new Spike Brothers Charge related Unit appears. AUTO (RC) Generation Break 1: [Soul Blast 1] When this Charging Unit attacks a Vanguard, this Unit gets Power+5000 until end of that battle, and at the end of that battle, you may pay the cost. If you do, Bind this Unit face up, and Call this Unit to an open (RC) in Rest.